From extracting and reciting seminal poetry by Charles Bukoswki on the desultory astral blues of their debut EP to conveying uncanny after dark delirium on the sequenced synthwave cycles of their latest material, Marie Davidson and Pierre Guerineau have etched out an interesting course as Essaie Pas, since opening their account with a self-titled cassette for Téméraire Records in 2011. Their name, meaning ‘don’t try’, comes from the epitaph engraved on Bukowski’s headstone, an anti-maxim which might be interpreted as nihilistic resignation, yet in this instance is used an inspiriting fuel and a reminder of letting creativity flow instinctually. ‘Nuit De Noce’, a release which collected many of their earlier efforts, acted as a compendium of their first steps. It demonstrated a duo beyond genre exercises and reverent gestures yet allied to dark fixations. ‘514 376-9230’, a promiscuous skulk of high and dry noir scuzz, retook Bukoswki as its cue, turning the profound cry of modern discontentment expressed in his famous poem ‘462-0614’ into an illicit street scene, as if soundtracked by Rowland S. Howard and Francoise Hardy. But as with any contemporary artists liberated by openness to new sounds and new experiences and an attitude unconfined by genre based preoccupations, these revelations and inheritances run into other areas, beyond one fixed focus. The duo have detailed a fond admiration for Klaus Schulze and Giallo soundtracks, stylistic evocations which also find root in their music yet remain inseparably combined in a modern, highly defined translation. It’s precisely that prowess at alchemizing familiar elements into a novel and prismatic vividity that affirms a project based on a compulsion to take those influences in new directions rather than an uninspiring case of fawning homage. These are ideals Pierre is keen to emphasize as inherent in their thinking: ‘Essaie pas has never been a conceptual project. We’re both music lovers, we listen to a wide variety of music, so I guess that’s reflected in our work. Music is music you know, whatever tag you feel like putting on it. Especially now, 2016, internet era - hybridization times - genre segmentation seems a thing of the past. We always like to explore new ideas, new sounds, new instruments, it seems like life is too short for repetition. But hopefully though all those experimentations, something like our identity stands out, with all its contradictions.’ According to Pierre’s expansions on this theme, their process also speaks of an appealing guilelessness: ‘There’s no such thing as a regular procedure, but what happened a lot for this album is that we plugged in the machines, programming sequences of synthesizer and drum machines until we got something exciting. Then we record it on the computer and start building a basic structure of a track. I like to picture the recorded sounds as matter, that we then work with, edit, manipulate and process. Then we make overdubs with virtual or hardware instruments and eventually add vocals’. Despite a sense of peak form “Demain est une autre nuit” wasn’t without adversity. Pierre identifies the time of the album’s production as a period of transition - preceding their first European tour and living between places after having lost both their studio and apartment: ‘We were mostly living at night with what was kind of a feeling of disorientation, a feeling of being a stranger everywhere, even in your own town. Then we were lucky to be invited to share the Phenomena festival new offices outside of business hours. So we would go to this empty industrial space every night to do music and record.’ The character of such a space seems to permeate ‘Demain est une autre nuit’, it’s heavy, pregnant, post-industrial atmospherics and it’s pervasive, almost consuming air of melodramatic darkness. It’s as if their experience of such dislocation and difficulty has been more rigorously channelled, what Pierre classes as ‘moments of crisis’, experiences which ‘left a mark strong enough that I wanted to share it, as something cathartic and also because it might resonate with other people’s experiences’. A sensationalist might claim that the fruition of ‘Demain est une autre nuit’ and it’s appearance on the DFA label is a small miracle, considering these circumstances. In a more level headed respect, it’s a significant coup for the duo after years of gradually and naturally finding their feet. Edified by Bukowski’s disillusioned exorcisms and invigorated by the excess and freedom of club culture, they’ve reached an impressive impasse after spells of misfortune, hindrances that might otherwise derail a less firm footed collaboration. 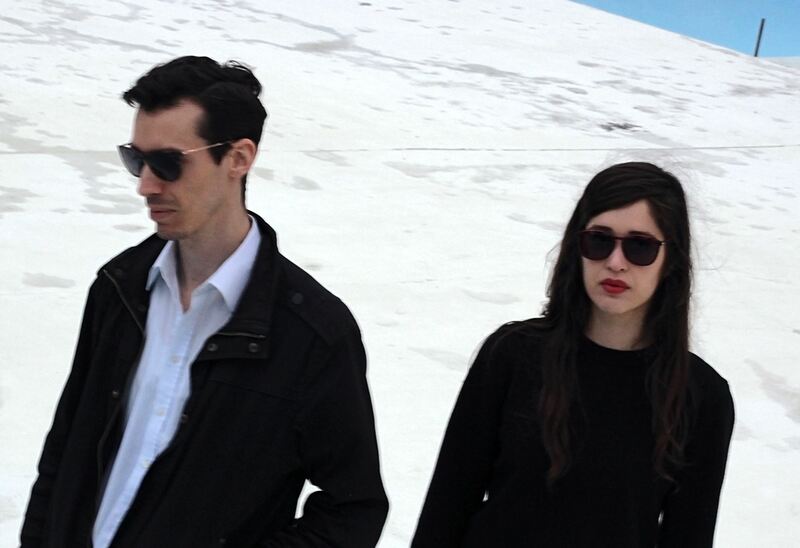 Essaie Pas are a duo situated in the lineage of cultish European synth music but more than that, are the product of a love affair born out of genuine passion. A testament not so much to a simplistic reading of ‘don’t try’ as proof that never ruling anything out and remaining alive to consequence pays off. Follow Essaie Pas on Facebook HERE.